Animated Spanish Flag Background HD. Royalty Free flag of Spain looping animated background – Globally recognized symbol of the Spanish nation, its people and their spirit. Available in HDTV (1920 x 1080) and SDTV resolutions. EXCLUSIVE product. 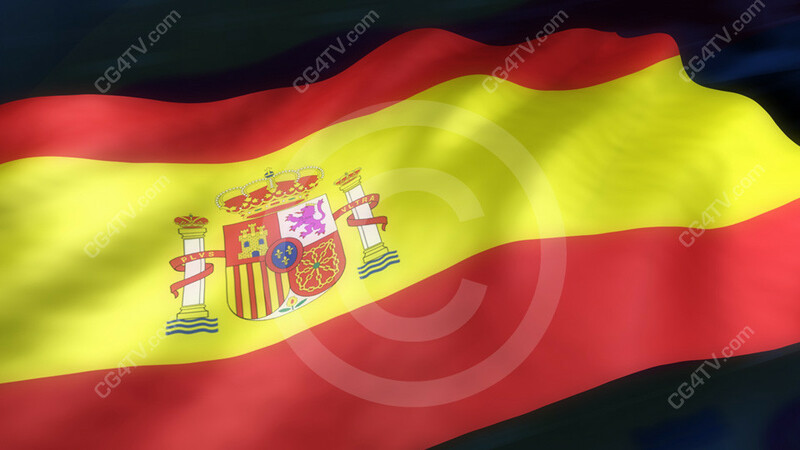 Spanish Flag Animated Background is only available from CG4TV.com. We don't have resellers or representatives. This product that can not be purchased elsewhere. The Spanish Flag proudly flies as a globally recognized symbol of the nation, its people and their spirit. It is prominently displayed at holidays and events. CG4TV.com is your virtual art gallery. 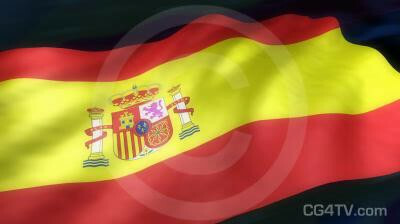 Order your Spanish Flag Animated Background now. Download it instantly with just a few simple clicks of your mouse!